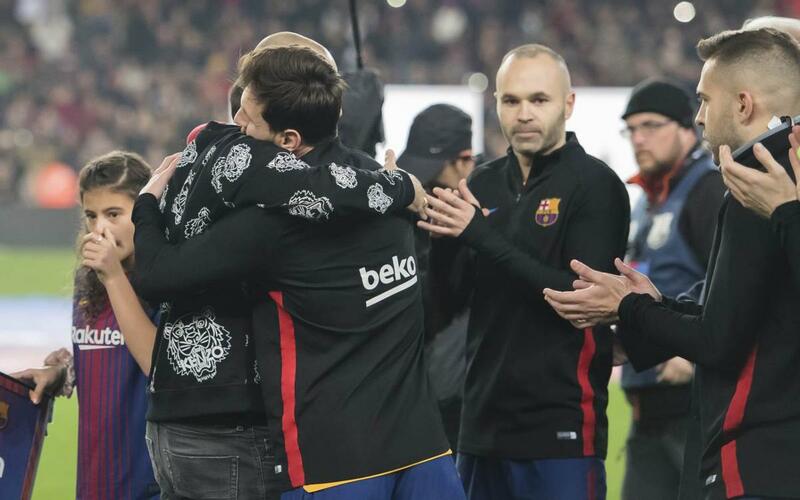 Thursday was Javier Mascherano's last day at FC Barcelona, and the occasion was marked in special style ahead of the Copa del Rey victory against RCD Espanyol. In this video we look back on 'El Jefecito's emotional farewell at the Camp Nou. Mascherano arrived at the stadium accompanied by his family, and his children joined him on the pitch for a guard of honour from the FC Barcelona squad. Team mate Andrés Iniesta presented him with a special commemorative image of the 18 trophies won by the Argentine in his 334 games as a Barça player. Relive the moments the Argentinian spent before kick-off, on a day that he will never forget, in a video full of previously unseen footage.